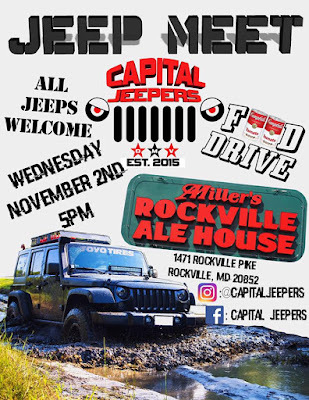 New auto dealership, customizing and service center Limitless Garage, Inc. will be participating in Capital Jeepers' Jeep Meet next Wednesday, November 2, at 5:00 PM, at Miller's Ale House at 1471 Rockville Pike. 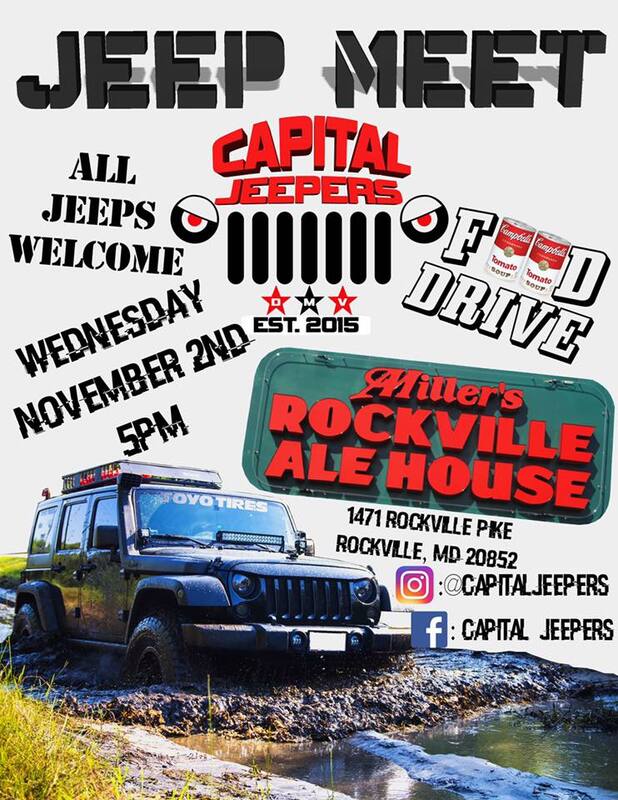 All Jeeps are welcome. The organizers are encouraging attendees to bring canned food for a food drive to help families in need during the upcoming holiday season. Limitless Garage not only sells Jeeps, but also customizes them, and can build one to your specs. 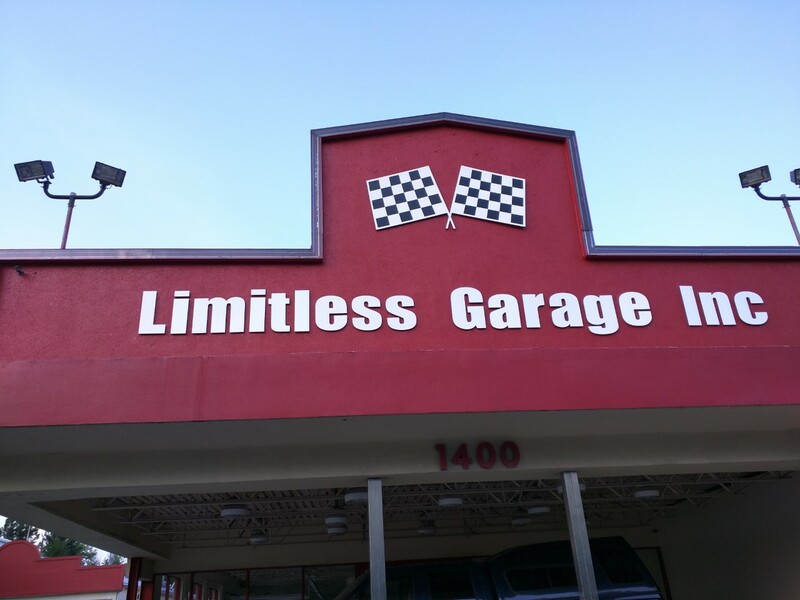 They are located at 1400 Rockville Pike, and their phone number is (301) 442-0690.